Hanna Lee Communications, an award-winning agency specialized in spirits, food, wine, and lifestyle PR and event management, announced the 12 finalists of the first annual “Show Me the Proof!” High Proof Cognac Cocktail Competition for professional bartenders and mixologists. 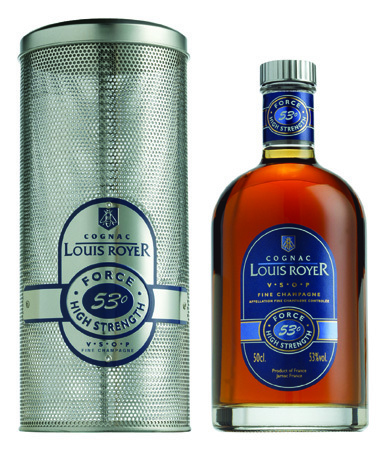 The competition, hosted by Hanna Lee Communications and the first of its kind, spotlights the seasonal mixability of Louis Royer “Force 53” VSOP Fine Champagne Cognac, one of the highest proof Cognacs in the U.S. market today. Exemplifying the current trend of over-proof spirits achieving popularity, more than 100 recipes celebrating the four seasons were received via ShakeStir.com from bartenders and mixologists from across the U.S.
NYC); Claire Sprouse (Rickhouse, San Francisco); Franky Marshall (The Tippler/Monkey Bar, NYC); Ivan Radulovic, (Macao Trading Co., NYC); Jeff Bell (PDT, NYC); Joe Campanale (Anfora/dell’Anima/L’Artusi, NYC); Liz Pearce (The Drawing Room, Chicago); Lynnette Marrero (Astor Room, NYC); Pam Wiznitzer (L’oubli/The Dead Rabbit, NYC); Sother Teague (Amor y Amargo/Booker & Dax, NYC); Theo Lieberman (Lantern’s Keep/Milk and Honey, NYC); and, Tim Cooper (GoldBar, NYC).